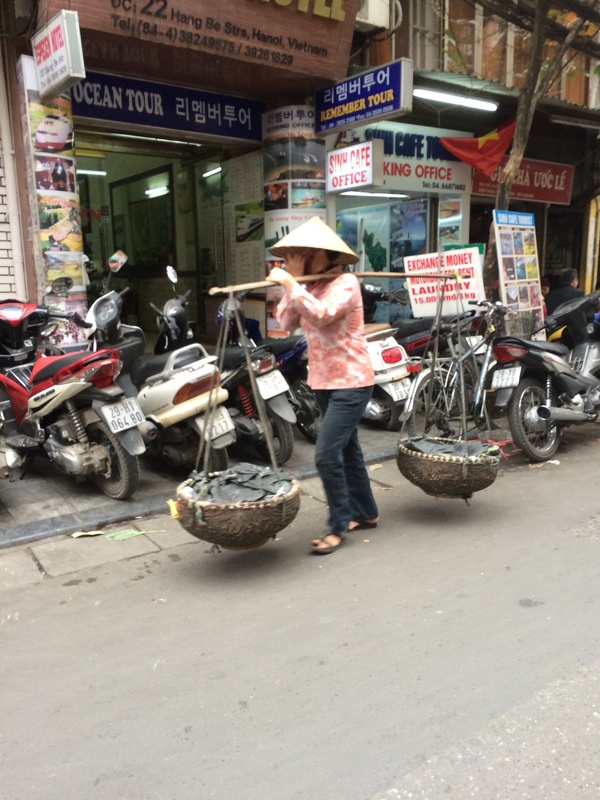 We leave Hanoi today for Halong Bay. 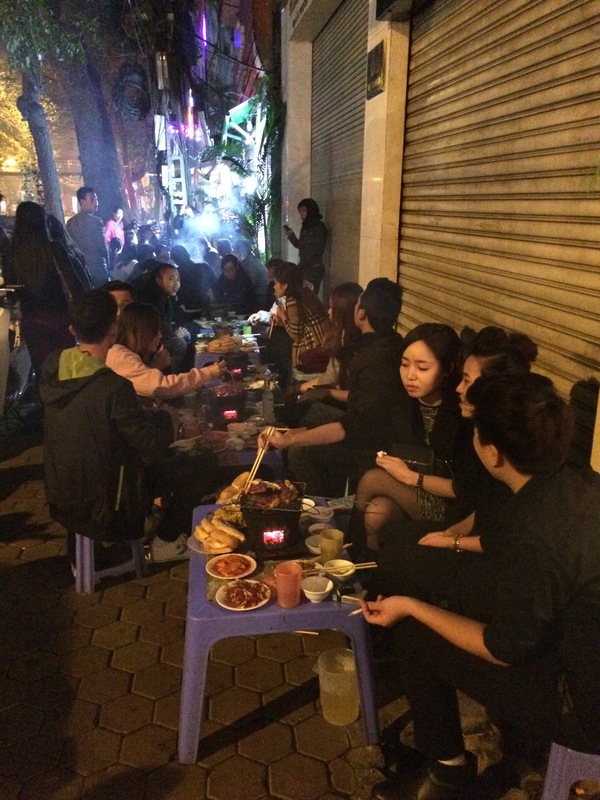 As I reflect on my time here, Hanoi is a city of contrasts. The traditional and the modern, the old and the new. 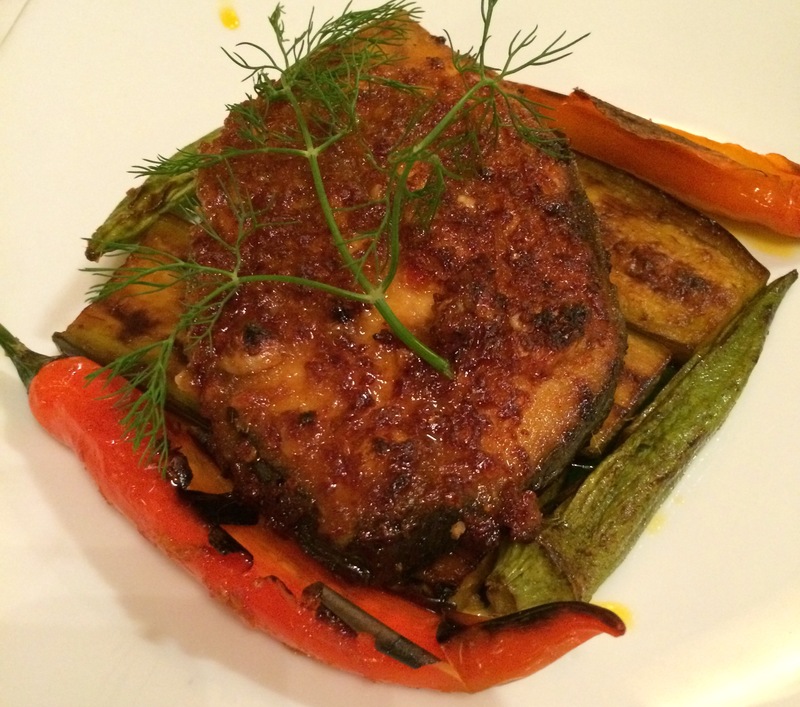 Fine dining resides comfortably with street stalls that are ubiquitous and at every street corner. I mentioned the traffic before. Though used to bad traffic being an original denizen of Bombay, the system is quite amazing here. The traffic lights are followed rigorously, but the system as we know it stops there. Making turns crossing the street, pulling and merging into oncoming traffic, you just do it. No signaling of intention, no hesitation. And the whole patten adapts and moves around you. Fortunately I did not observe one accident, scrape or dent. 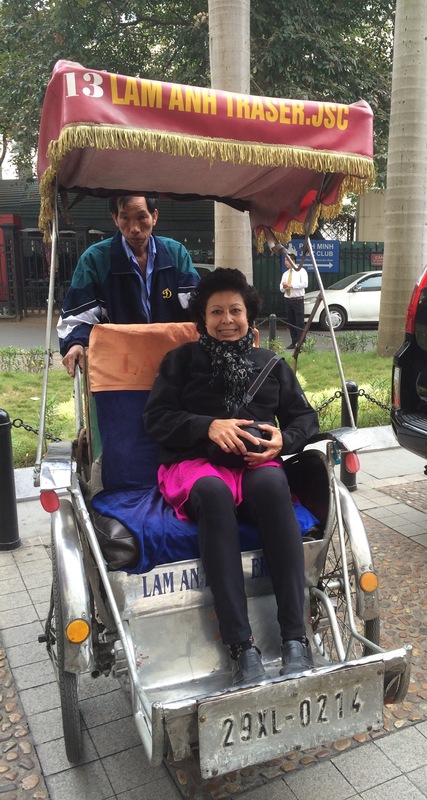 Our one hour ride on a ‘Xichlio’ or man powered ‘Tuk Tuk’ through the busy streets of old Hanoi was a leap of faith. 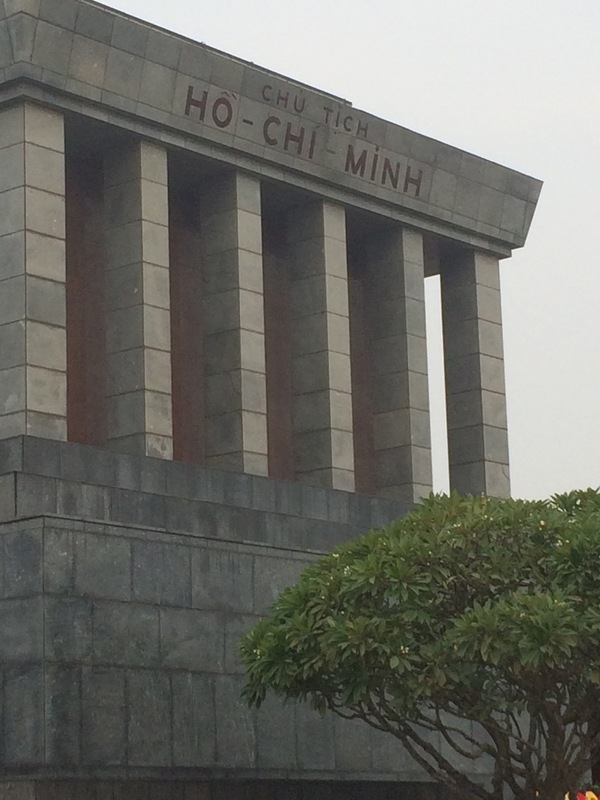 We also visited Ho Chi Minh’s mausoleum. Not having really seen an embalmed head of state laid out in revered splendor was a sad experience. Especially as he was a simple man who wished his ashes scattered over the three major areas of Vietnam. He looked like he had just laid down for a nap and would have been surprised to see all of us peering at him. 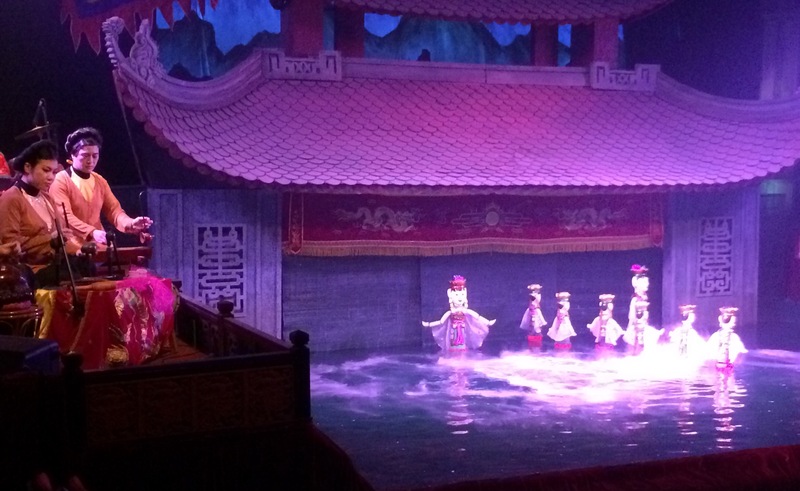 Oh and the water puppets! 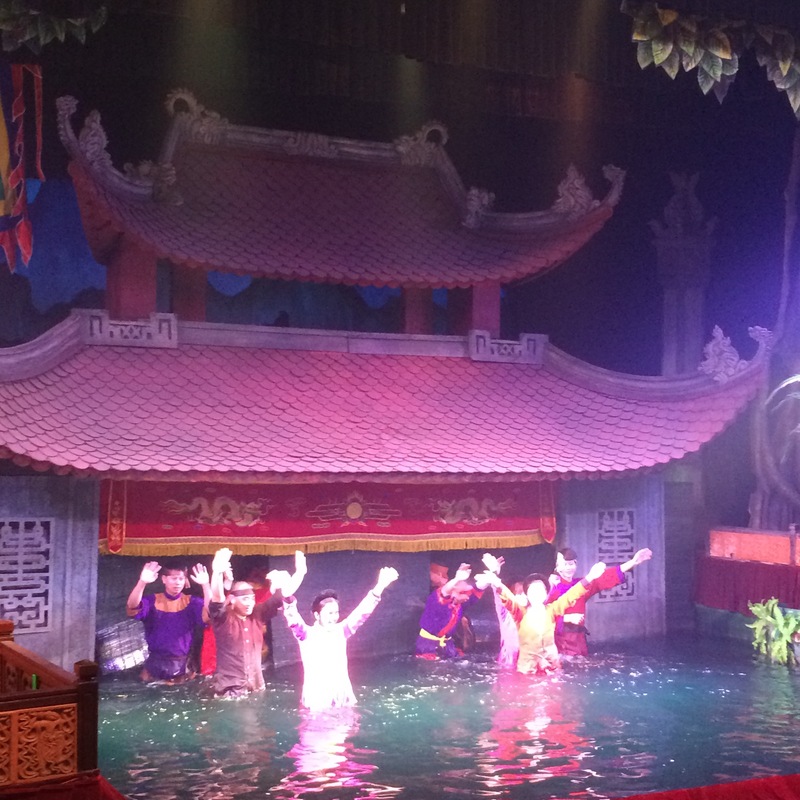 I am not really a puppet person but I could not help being enchanted by the dancing puppets as they told their simple story of fishermen, dragons and evasive fish on a colorful water tableau. 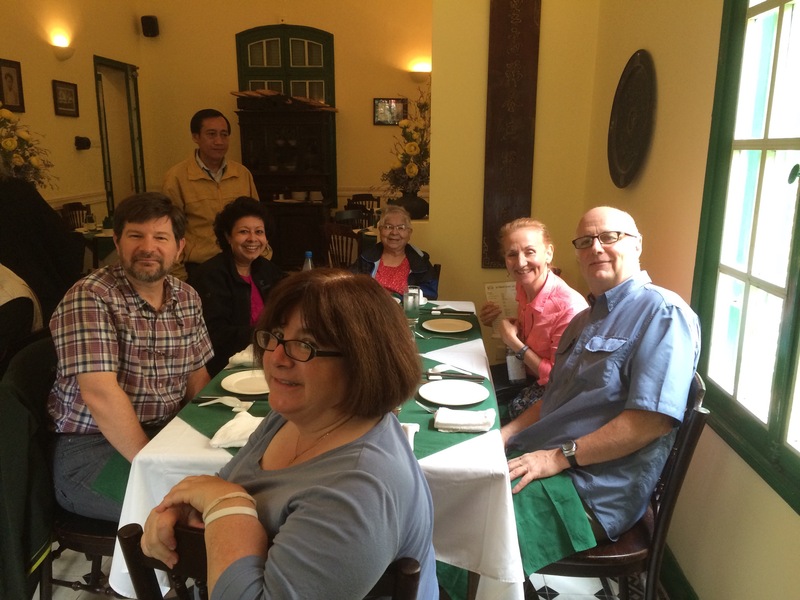 We continued our culinary tour with two mouthwatering Vietnamese meals. 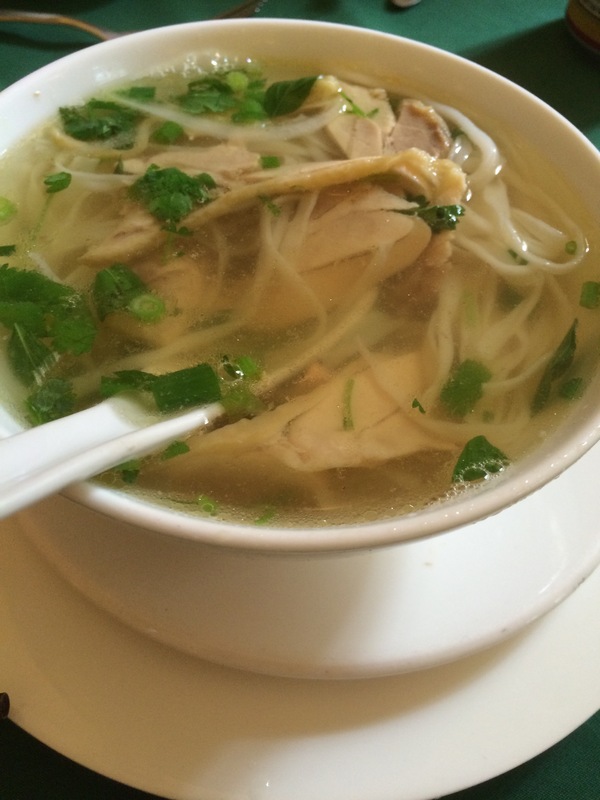 A ‘pho’ lunch and dinner at ‘wild rice’ where the tuna in banana leaf left one satiated and wanting for more.